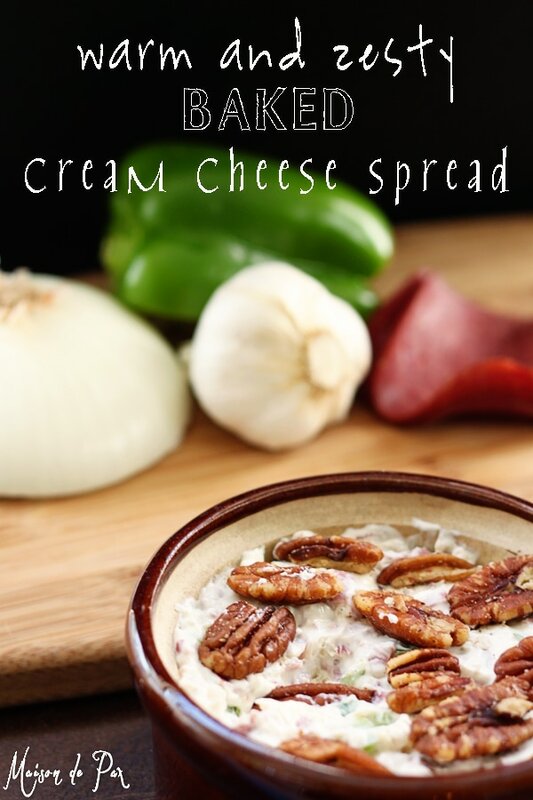 If you, like me, believe that almost everything is better with garlic and cream cheese, then YOU are in for a treat today… And just in time for Super Bowl! 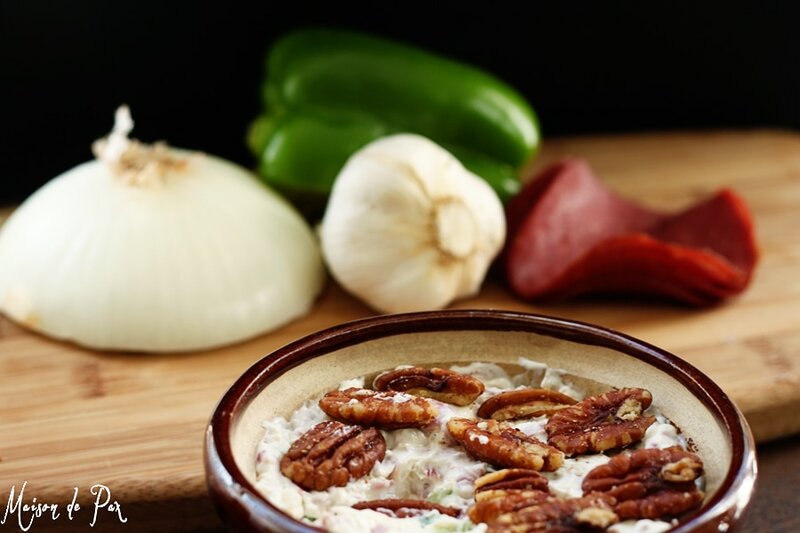 This delicious dip has been in the family for years. 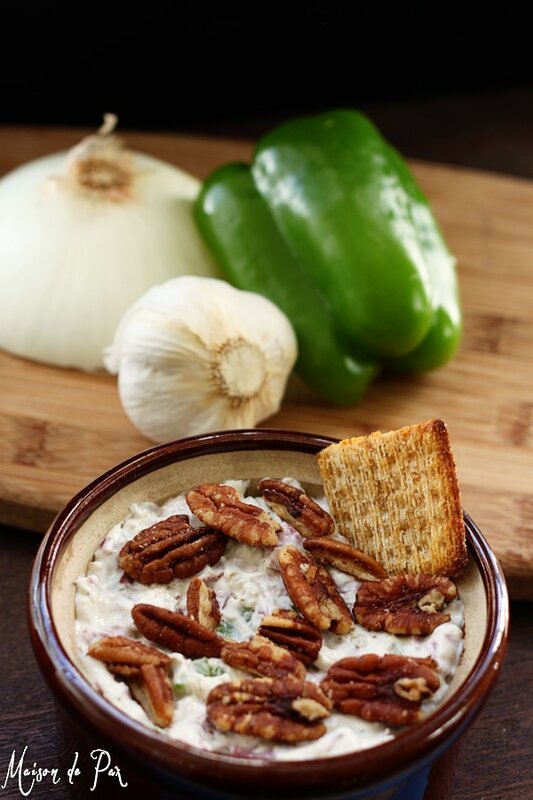 The warm, creamy goodness with the crunchy, toasted pecans is the perfect balance. And, just as important, it is an absolute SNAP to make. Only two quick things to chop, stir it all together, and bake it for a few minutes before serving. You can even make it days in advance in little crocks or pyrex and refrigerate it until party time. Just bake and serve! 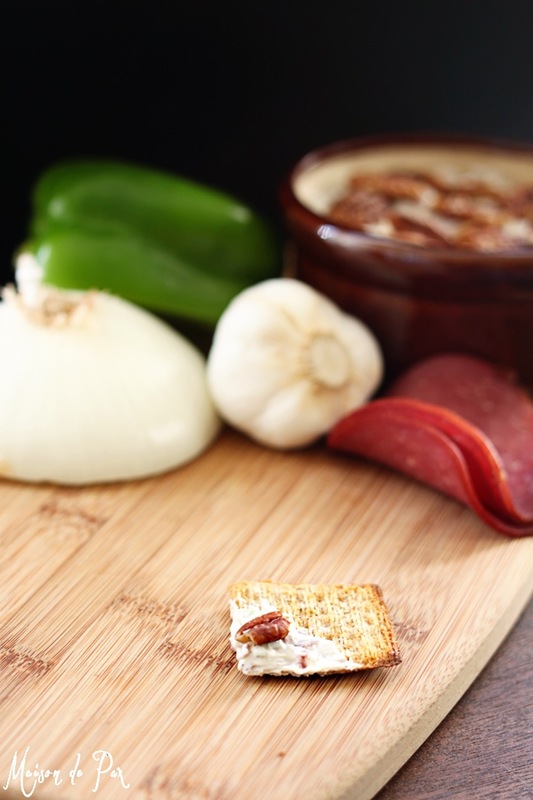 The only slightly foreign ingredient for me is the “dried beef.” It’s a little jar of thinly sliced salami-looking beef, found on the aisle with the canned tuna or chili. 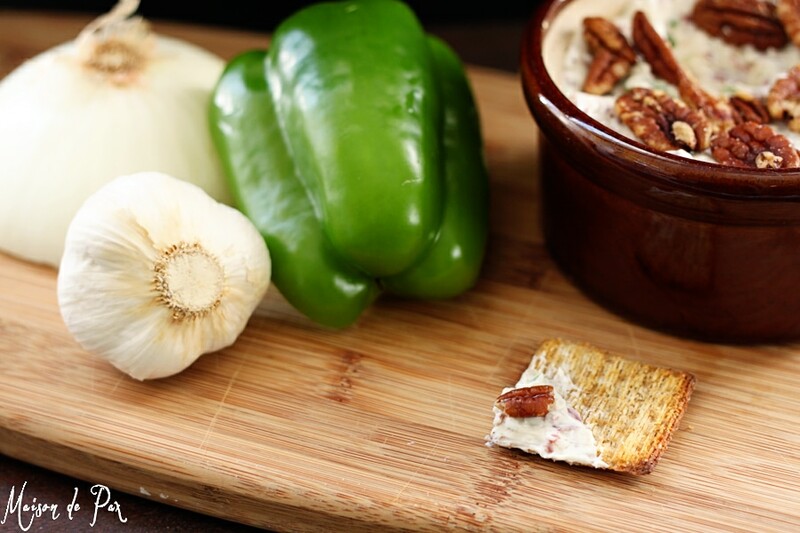 It sounds a little scary, but it adds some heartiness to the dip and a good, smoked flavor that is perfection. 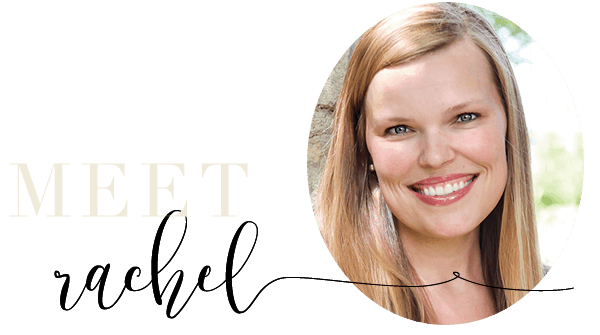 So give it a try… I think you and your guests will love it! 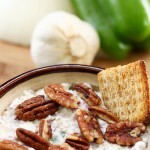 If you do not find roasted pecans, you can saute some in butter and salt... delicious!! 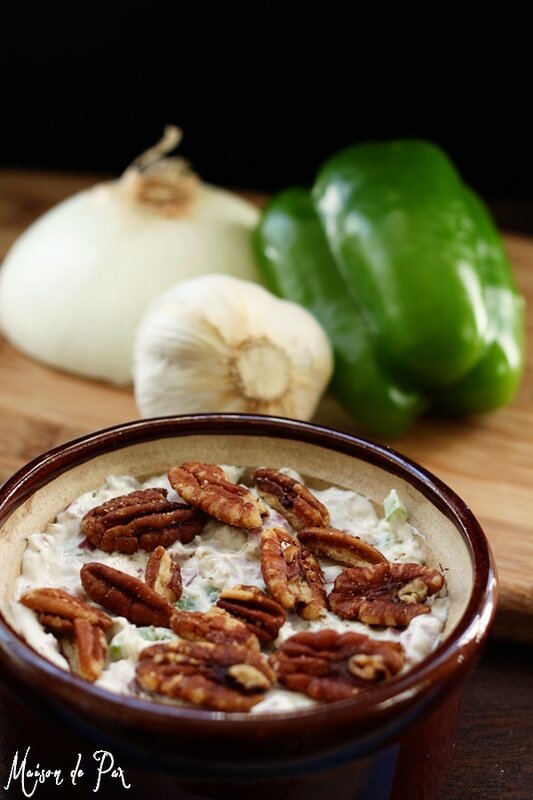 This dip will also freeze, so feel free to make a double recipe and save some for later. If you put it in a freezer and oven safe container (like pyrex), you can simply pop the top off and put it in the oven. So simple! « Nothing Beats a Hug and a Kiss! LOve this dip, and guess what! 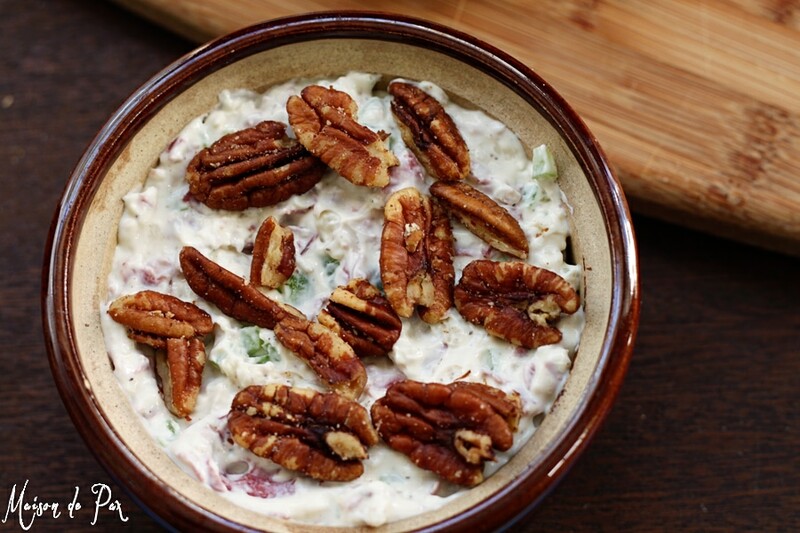 I served this dip at all our “newlywed” parties in the early 70s! The jar of chipped beef was the MAIN ingredient always. Everything that goes around, comes around, or so I’ve heard. 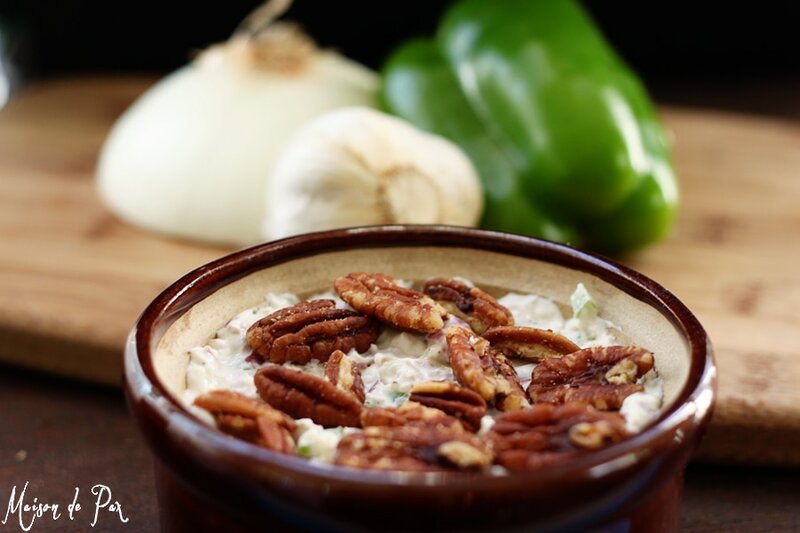 If you have ever seen creamed chipped beef it is the same as what you use for this dip. Here in PA Dutch country we even make dried beef sandwiches. They are a treat, too salty to have on a regular basis. Never tried this dip but I will be. Stopping by from the Inspiration Gallery party at DD&D!